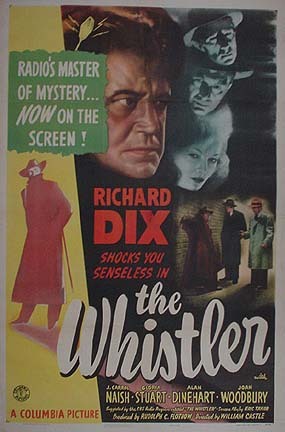 The Whistler was adapted into a film noir series from Columbia Pictures. The first seven featured actor Richard Dix (playing a different character in each). The "Voice of the Whistler" was provided by an uncredited Otto Forrest.